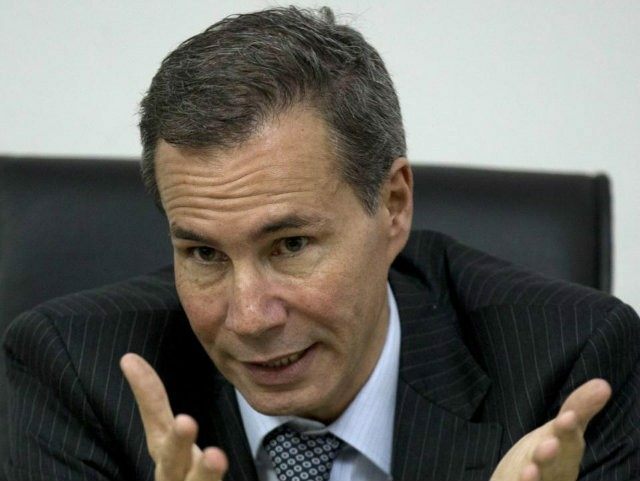 On January 18, 2015, Argentine prosecutor Alberto Nisman was found dead, lying in a pool of blood with a gunshot wound to his head. He was to testify the next day that the nation’s president and foreign minister had brokered a deal with the government of Iran to protect the masterminds of the worst terrorist attack in the Western Hemisphere before September 11, 2001. One year later, the newly elected Argentine government – which may attribute its victory largely to the Argentine people’s revulsion at the leftist incumbents’ mismanagement of the Nisman case – have few answers, but vow justice in a case some in the previous administration appeared to hope was a suicide. Nisman spent a decade studying evidence surrounding the 1994 bombing of the Argentine-Israeli Mutual Association (AMIA) headquarters in Buenos Aires, a terrorist attack that took the lives of 85 people and for which no one has been prosecuted. Shortly before his death, he completed a draft report that claimed President Cristina Fernández de Kirchner and Foreign Minister Héctor Timerman had brokered a deal with the guilty parties, many of them high-level Iranian officials, that would grant impunity to the guilty in exchange for favorable prices on Iranian oil. Nisman had drafted an arrest warrant for the president of Argentina and for Timerman; it was found in his apartment’s trash after his death. One year later, President Mauricio Macri welcomed Nisman’s daughters – Iara, 16, and Kala, 9 – to his private estate for what observers described as a “friendly and warm chat” in which Macri vowed justice for their father. Justice for Nisman had become a centerpiece of Macri’s campaign before his victory in November, even inviting Iara and her mother, Judge Sandra Arroyo Salgado, to a debate. Macri’s first move as president was to fail to defend a “memorandum of understanding” signed between the Fernández de Kirchner administration and the Islamic regime in Iran that would grant Iran significant control over the AMIA investigation. He has also established an independent agency to investigate both the AMIA bombing and Nisman’s death. Nisman’s family insist he was murdered, and no evidence exists to rule his death a suicide. “A few years ago I completed a project for school related to terrorism in which I analyzed particularly its primary goal: to inspire fear in people. Throughout the year, I felt that my father’s murder had carried this same message,” Iara Nisman wrote in a column on Sunday for the newspaper Clarín. Judge Salgado proved through an independent investigation by ballistics experts that her ex-husband could not have killed himself without having any trace of metal or gun powder on his hands. The AMIA headquarters, still standing after both the 1992 and 1994 bombings, will display a large photo of Nisman with a candle in solidarity throughout Monday. President Macri, meanwhile, is heading to the Davos economic conference despite medical advice to the contrary. (Macri recently fractured his rib cage.) He is expected to meet there with Israeli Prime Minister Benjamin Netanyahu, who reportedly requested the meeting. Netanyahu expressed his support for Macri’s decision to immediately discard any agreements with the Iranian regime regarding the AMIA bombing. Macri is also expected to meet with Vice President Joe Biden, Mexican President Enrique Peña Nieto, and Queen of the Netherlands Máxima Zorreguieta, who was born in Argentina. On the one-month anniversary of Nisman’s death, 400,000 Argentines took to the streets to demand the Fernández de Kirchner government punish those responsible for his death. Protests continued as citizens grew aware of the accusations in the Nisman report, with protests featuring signs reading “Islamic Fundamentalism Killed Nisman” waving in the streets of Buenos Aires. Macri’s meeting with Netanyahu is of critical importance as Iran’s power grows in the region, thanks to a number of concessions on the part of the Obama administration that will generate billions in revenue for the Iranian government previously frozen by sanctions. Iran has levied the abductions of U.S. citizens against the White House repeatedly, releasing four imprisoned citizens in exchange for seven Iranian terrorists and the elimination of criminal charges against another 14. Iran also captured and abducted ten American sailors last week on the eve of President Obama’s last State of the Union address; following the release, Iranian media reveled in the public relations victory.